The Koran Burning cancelled news was welcome news for Muslims. However, Quran burning protests in Afghanistan still left two dead. Although Terry Jones from Dove World Outreach in Gainesville Florida cancelled his plans to burn the Koran, he still has blood on his hands. CNN reports that before Jones made his announcement that the event was cancelled, protesters gathered in Afghanistan. Security forces had to open fire into a crowd to keep them from entering the office of the governor of Baraki Barak region. At least four other individuals were injured as a result of the incident as well. 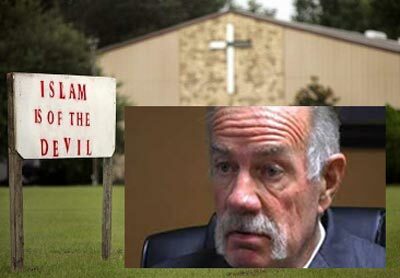 Terry Jones, a pastor in Florida made plans to burn the Koran in protest of the Ground Zero mosque. The end result was mass outrage across the world, plus pleadings from world leaders to not undertake the event. This radical pastor from Florida was able to capture the attention of the media, although no plans are made to move the Ground Zero mosque despite the Koran burning being cancelled. this man is sick!! how do you burn other people's relegious book. He caused people innocent people to die in Afghanistan. May god help him and guide him to the right path. This is just one more example of someone with a big mouth, a small brain, and no heart in his chest. Someone using the name of God to do something like this is more terrifying than million of nuclear bombs. We should be afraid of our future...there are to many of this kind among us. WRONG! The blood is NOT in his hands. Yes, he's an idiot, yes he's a bigot. But it is his RIGHT to burn in protest as he sees fit. Just look at what he's protesting. Two morons got themselves killed on the other side of the world, not because of him, but because they follow a stereotype. We cannot make excuses for violence. Being outraged DOES NOT give you the right to hurt someone or damage someone else's property. Shout in disgust, but keep it civil. It's not his right (freedom of speech, there is a certain line drawn there) when other people's lives are in danger. Ahem, our troops.